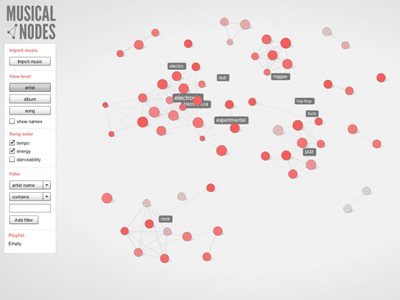 MusicalNodes is a visualization system for digital music collections. Artists, albums, songs and genres are represented as nodes in a network, where musically similar items are connected with each other. 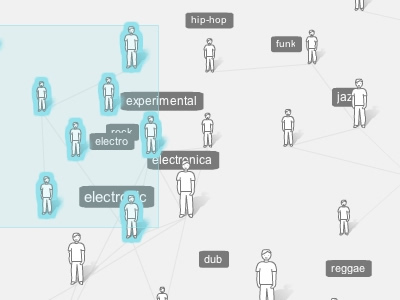 A force based graph determines the positions of the nodes, based on data like song tempo, genre and similar artists. It provides a good overview of your music at a glance and offers new insights into your collection.